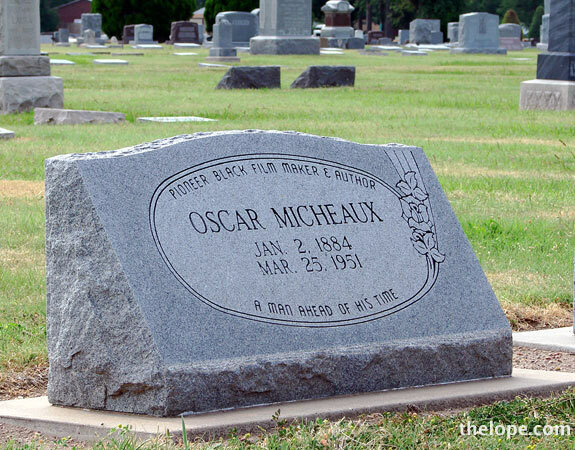 This year marks the 60th anniversary of the passing of pioneering Black film maker Oscar Micheaux, who grew up and is buried in Great Bend, Kansas. His tombstone reads that he was born January 2, 1884 and died March 25 1951. In contrast to the racism in the films of the time like D.W. Griffith's "The Birth of a Nation" (1915), Micheaux chose to show realistic characters in films such as "Within Our Gates" (1920) and "Swing!" (1938). 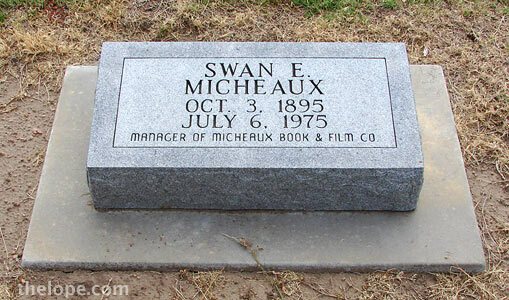 Other members of Micheaux's extended family are buried in the cemetery. including his brother, Swan (1895-1975), who is buried beside him. Swan once worked for Oscar and made a film of his own entitled "Midnight Acres."